One of the most fulfilling feelings in life is to see one’s efforts yield positive results. It gives me immense satisfaction to be here today to witness this Pre-Launching Ceremony of Longrich Nigeria manufacturing plant to be located in the Lekki Free Zone in Lagos State, Nigeria. At the inception of this administration, one of our core focus areas was attracting investments to our State; to create employment for our people and wealth for our investors. Today’s event is one of those crowning moments that confirm that our efforts have been rewarded. I am particularly delighted that of all the cities and countries in Africa, Longrich Group of Companies has chosen to site its manufacturing plant, a $50 million investment, in our State. For this trust and confidence shown in our State, I am here personally to thank the Chairman, Mr. Xu Zhiwei, and the management team of Longrich, led by the company’s Vice President, Xu Zhi Lun, for making this wise investment decision. I am also here to assure you of the government’s commitment to supporting your business and ensuring that you succeed in Lagos. I have been informed that this Lekki Longrich facility, upon completion, would not only be the hub for the distribution of the products to the African sub-region but would provide employment for at least 1,000 new workers in our State and boost the nation’s foreign exchange earnings from exportation of manufactured products to other African Countries. If we go by the success story of Longrich in China and the company’s track record, there is no doubt that Longrich Nigeria would be modelled after the world-class LONGLIQI Bio-Industrial Park in China which covers an area of more than 133 hectares and serves as location of LONGLIQI Bio-Science Co., Ltd.
Longrich has not only become a global brand but its range of products has steadily been impacting lives, particularly in terms of health, fitness, and qualitative standards of living, as well as changing business patterns in diverse continents. The company has also created wealth for the over 500,000 people who are trading more than Thirty brands in the Longrich product range through the business referral network in Nigeria. Interestingly, a high concentration of the Longrich traders reside and operate in our State confirming that we not only have a rapidly growing market for continuous consumer products and services but are a haven for foreign direct investments. On our part, we will continue to ensure we play our role as business enablers. We will continue to work to provide the necessary infrastructure and services required to support all investors and businesses who decide to make Lagos their home. Our administration has embarked on massive and ambitious projects. We have introduced public sector reforms and policies aimed at making it easier to do business in our State. Our governmental institutions like the Ministry of Commerce, Industry and Cooperatives, Office of Public Private Partnership and Office of Overseas Affairs and Investment (Lagos Global) are, more than ever before, in the fore front of providing an enabling business environment for local and foreign investments to thrive. These are just a few indicators to assure you of our commitment to securing not just Longrich’s investment in the South-West quadrant of Lekki Free Zone but to secure and attract more investments to our State. At this point, let me confirm that the Lekki Free Zone is the flagship of the Lagos State Government’s industrial development drive which asides from physical amenities, also comes with a bundle of incentives that propel business prosperity. With the ongoing gas pipeline laying to the Lekki Free Zone nearing completion, I assure you that very soon power generation costs, which accounts for significant production cost, will be significantly reduced. Distinguished, Ladies and Gentlemen, I want to restate the commitment of the Lagos State Government to sustaining the business environment and protecting all investments in the State, especially those in the Lekki Free Zone. Once again, on behalf of the good people and Government of Lagos State, I congratulate Longrich International Nigeria on this project and assure you and all investors that your business interests in this State would continue to be profitable as you will find in us a supportive business partner. 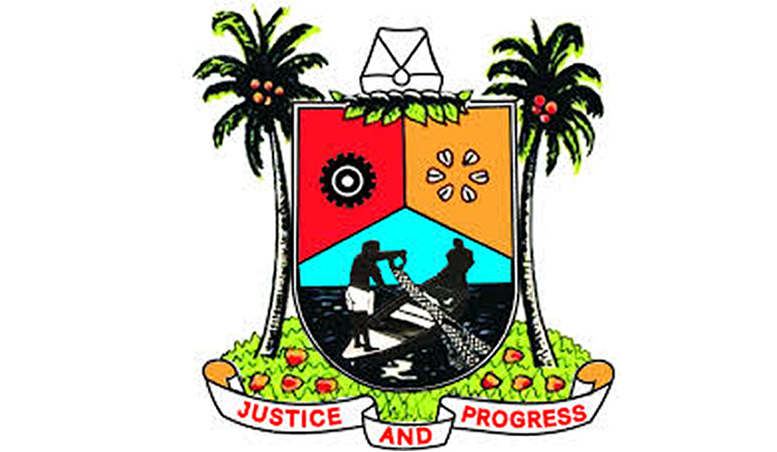 Lagos State Governor, Mr Akinwunmi Ambode on Tuesday presented the year 2019 budget proposal of N852.316billion to the House of Assembly, with a pledge that it had been carefully prepared to be all-encompassing and dedicated to complete major ongoing projects in the State. The Governor said N462.757billion representing 54 percent of the total budget size had been earmarked for capital expenditure, while N389.560billion representing 46 percent had been dedicated to recurrent expenditure, saying that key projects such as the Oshodi-Murtala Mohammed International Airport Road and Oshodi Interchange Terminal, among others would be completed. He said from inception of his administration, nine key areas were given priority after careful assessment of the needs of the citizens, adding that such had informed the massive investment in the said sectors which he listed to include security, transport / traffic management, economy -including tourism and agriculture, housing, education, health, infrastructure – social and physical, water, wealth creation – skill acquisition/microfinance, e-Governance and enhanced capacity building, sustainable environment and smart city projects. Giving details of what informed the budget size, Governor Ambode said the performance of Y2018 budget of N1.046trn as at November 2018 stood at 60 percent owing to reduction in revenue projections, while the total revenue stood at N530.192billion. According to him, “In the outgoing year, however, we experienced a reduction in our revenue projections, which affected our projected performance and our desired implementation of the Y2018 Budget. The overall Budget performance as at November 2018 stood at 60 per cent/N574,206billion with actual cumulative total revenue of N530,192billion/64 per cent, Capital Expenditure closed at N311,930billion/49 per cent and Recurrent Expenditure performed at N262,276billion/82 per cent. While outlining the key components of the Y2019 budget and the sectoral allocations, the Governor said with priority given to completion of major infrastructure projects and smooth transition to the next administration, the government was proposing a total budget size of ‘N852,316,936,483,’ including a deficit financing of N77.086billion which is expected to be sourced from internal loans and other sources. He added: “The projected total revenue for Year 2019 is ₦775.231billion, of which₦606.291billion is expected to be generated internally, ₦168.940billion is expected from Federal Transfers while a total of ₦77.086billion will be sourced through deficit financing within our medium term expenditure framework. Expressing optimism that the revenues of the State would improve in 2019, Governor Ambode said the government had begun consolidating on the already established public financial management and technology-driven revenue reforms through data integration and use of multi-payment channels, just as he said that every strata of the society would benefit from the budget. “The Year 2019 Budget has been carefully planned to accommodate all and sundry; women, youth and physically challenged, young and old. We will continue to spread development to all part of our state even as we embark on effective transition knowing fully well that the implementation, failure or success of the Budget depend on all of us,” he said. Besides, Governor Ambode commended the Speaker and members of the Assembly for the support accorded his administration in the last three and half years, while also acknowledging the role of Royal Fathers, Religious leaders, members of the Business Community, Professional Bodies, Development Partners, Non-Governmental Organisations, public servants and all residents as well as members of the fourth estate of the realm for their various support and contribution during the lifespan of his administration. In his remarks, Speaker of the House, Rt. Hon Mudashiru Obasa expressed optimism that the budget would be of great benefit to the people of the State, just as he assured that the House would work with the executive to pass the budget. 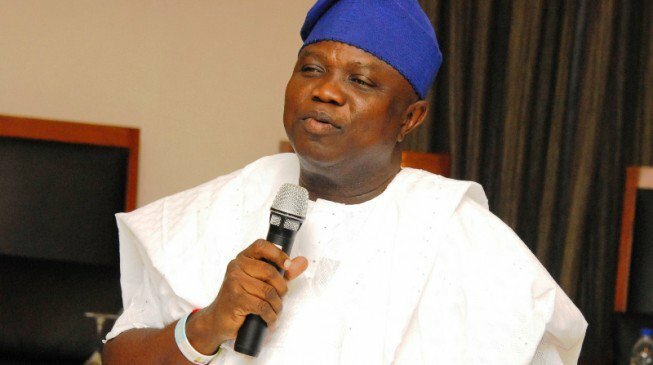 Lagos State Governor, Mr Akinwunmi Ambode on Sunday attributed the global recognition of the State as a major capital to God’s grace, guidance and divine favour, saying the State should be thankful for the numerous achievements and growth so far recorded. Speaking at the annual special thanksgiving service of the State Government for the new year held at Lagos House in Alausa, Ikeja, the Governor said it was evidently clear that God had been faithful to the State in making the modest successes recorded possible. “God has been very faithful to us in Lagos and that is why we dedicate every first Sunday of the year to give Him thanks and praise. The modest achievements and progress our State has recorded would not have been possible without His grace, guidance and divine favour. “The occasion of this Annual Thanksgiving Service is very symbolic to us in Lagos as it not only serves as a yearly tradition but it provides us a platform to come together as a people and as a State to give praise to the Almighty. “When we count the numerous blessings and favours our State has enjoyed, protection from natural disasters, security of lives and property of Lagosians, the continuous growth and development of our State and the global recognition of Lagos as a major capital in the world, we would see that truly, our God has been faithful and benevolent to us beyond our expectations,” Governor Ambode said. Describing the theme of the service – “Enter His Gates with Thanksgiving,” taken from Psalms 100:4, as apt, the Governor said it was for people to appreciate God for His blessings, hence the need for the service. Besides, Governor Ambode said as the nation prepares for crucial elections in 2019, it was important for Nigerians to to pray for peaceful elections to facilitate continuity of development and good governance. “As we raise our voices in songs of praise, adoration and supplications, I urge us all to pray for our State and our Country especially in this special and crucial year of general elections. Let us seek the face of God to grant us peaceful elections devoid of violence, so that Lagos, and indeed Nigeria, will continue to excel and experience continuity of development and good governance,” he said. The Governor also used the service to appreciate and all Clergymen in the State for always keeping faith with the annual thanksgiving service and for their ceaseless prayers and wise counsels for the continued progress of the State. In his sermon, General Overseer of the Redeemed Christian Church of God (RCCG), Pastor Enoch Adeboye emphasised the need for people to continually appreciate God, saying doing such always help to complete prayers. Citing Acts 16: 25-26, Adeboye who was represented by his Special Assistant, Pastor Idowu Iluyomade said thanksgiving also has the ability to move God to action, urging the people to imbibe the act of giving thanks in all situations. Aside songs ministrations from various choirs, prayers were also offered for the first family, the Executive, Judiciary, Legislature, Civil Service, Local Governments and security operatives, and also for the success of the forthcoming general elections. Among dignitaries who attended the service include Vice President, Professor Yemi Osinbajo and his wife, Dolapo; former Lagos State Governors – Brigd Gen. Mobolaji Johnson Rtd, Alhaji Lateef Jakande, Rr. Admiral Ndubuisi Kanu Rtd; Governorship Candidate of All Progressives Congress (APC) in the State, Babajide Sanwo-Olu and leading Christian clerics in the State. Lagos State Governor, Mr. Akinwunmi Ambode, on Sunday evening reiterated the commitment of his administration to continue to play up the arts and entertainment industry to grow the economy and positively engage the youth, saying the sector remains a veritable platform to improve the Gross Domestic Product (GDP) of the State and Nigeria. Speaking at the performance of a stage play – Oba Esugbayi, held at the Muson Centre in Onikan, Lagos, Governor Ambode said since inception of his administration, conscious efforts had been made to invest in the arts and entertainment sector in view of its strategic importance to the country if the potentials were properly harnessed. While describing the sector as the future of the State, the Governor said the investment so far made was geared towards using the industry as a springboard to plan for the burgeoning youth population in the State. “Obviously, I am a lover of arts and as a government; we have invested so much in culture, entertainment and so on. The real GDP of Lagos is in entertainment and arts because that is where the future is. “The population dynamics of Lagos is like 65 percent below the age of 35 and you have to start to find somewhere to actually fill in that gap to grow the GDP of Lagos and that is why we have decided that we would promote a lot of things in arts, culture and entertainment and that is just the right way to go,” Governor Ambode said. The Governor, who also commended the creativity and versatility of the cast and production crew of the stage play in coming up with a wonderful show, assured that he would continue to support the sector whether in government or out of government. “I just want to say that I have enjoyed myself thoroughly and this is one of the Christmas gifts to me. Sitting down here and watching for one and half hours, you know that there is a big future for this country and for everybody that has actually taken part in this stage play, I say God bless you. “When I see younger people and the sense of creativity around them and the energy, it brings that sense of hope in this country and whatever support I can give in and out of government, I will do it without hesitation,” he said. In a related development, speaking at a Christmas Carol Service of the Bethesda Home for the Blind, Governor Ambode who was appointed a life patron of the school, commended the management of the institution for their selfless service in taking care of the special students, just as he assured them of continuous support. “All of you are very dear to my heart; I have natural love for all of you and so I will use my resources whether private or official to support this place. I want to assure that we would use our network to pull other well-meaning Nigerians within the next six to 12 months to transform the place,” the Governor said. As you may be aware, the Lagos State Health Scheme was established by Law No.4 of May, 2015. This law was inspired by Government’s desire to provide access to affordable and quality Healthcare Services to all residents of Lagos. The job of implementing this law fell on our administration and for the past Three and Half years we have been working on the implementation of this delicate but very important scheme. I can assure you that providing a Health Insurance Scheme for all residents of Lagos State is a tough task but one we were committed to executing. We were committed to implementing this programme because the welfare of all Lagosians is of paramount interest to us and we came into office with a promise to make Lagos work for all. I am delighted that we have fulfilled that promise and are gathered at this historic and momentous occasion today for the formal launch of the Lagos State Insurance Health Scheme. It is historic because it marks a distinct milestone in the State Government’s effort to ensure the sustained provision of a critical social service to our teeming Lagos population. The overall goal of this scheme is to ensure that all residents of the State have unhindered access to sustainable, quality and affordable healthcare services with financial risk protection including subsidy from government subsidy. Since the passage of the Law, the Ministry of Health and the Lagos State Health Management Agency established by the Lagos State Health Law as the regulator of the Scheme, have been working with several Local and International Technical Partners to design the scheme in line with the requirements of the law and best practices driven by our local needs, experiences and technological developments. This effort was time consuming but necessary to ensure we give the good people of Lagos a Healthcare Scheme that is fit for purpose and sustainable. It is a known fact that out of pocket payment for healthcare deters access to Health Services especially for indigents and other vulnerable persons in our society. This situation contributes to increased morbidity and mortality with the resultant adverse effect on the human capital development and economic prosperity of Lagos. To ensure that the indigent and vulnerable, who are most susceptible to the difficulties of out of pocket payments for healthcare, are enrolled into the Lagos State Health Scheme, we have set aside 1% of the State’s consolidated revenue in the 2018 budget for this purpose. By Law, this scheme is mandatory for all residents of the State. That is the trend nationwide. The process of identifying and registering the beneficiaries has commenced in a number of our developing communities whose residents are mostly indigent. The Government has also made provision for all State and Local Government workers and their nuclear families to be enrolled into the Scheme at a subsidized rate. This scheme will deliver significant benefits to the economy of the State. Beyond ensuring we have a healthy population, this scheme will foster inclusion and increase in the utilization of hospital services thereby creating employment opportunities for medical professionals which will definitely have a positive impact on the economy of our State. Ladies and gentlemen, the Lagos State Health Scheme has come to stay. Robust mechanisms have been put in place to ensure transparency in its operations and in the management of funds. These will help to ensure this initiative outlives any government administration. We intend to continue to commit resources to improve our medical facilities and enhance the scope of coverage. However, the State Government cannot do this alone. I therefore call on our partners in the Private Sector to see the LSHS as an effective vehicle to positively impact their communities. I encourage corporate bodies, high net-worth individuals, government agencies, multilaterals and NGO’s to adopt vulnerable groups of persons by funding their healthcare coverage. It will be an investment which will yield incalculable dividends because every life saved could be a very valuable member of society and potential leader. I enjoin all Lagosians to embrace this scheme which aligns with global best practice in healthcare financing. With this scheme, every Lagosian, no matter your socio-economic status, is guaranteed access to quality healthcare service. Just last week, President Muhammadu Buhari, through the Chairman of the National Economic Council, the Vice President, Professor Yemi Osinbajo, launched the Human Capital Development Programme with the theme, “Healthy, Educated and Productive Nigerians for a Globally Competitive Nation vision by 2030’. The programme focused on three main areas; health and nutrition, education and labour force participation. This ties in with what we have done here today. This is what our great party, All Progressives Congress stands for. Our gubernatorial candidate, Jide Sanwoolu, is also committed to this initiative. His presence and that of his running mate is a clear indication of our doctrine of continuity in governance. I urge all Lagosians to ensure that this people-oriented scheme is sustained by voting wisely and voting continuity. Today, we have laid another brick into that building that is the Lagos of our dreams. I enjoin you to continue to work with us to make this dream a reality. Itesiwaju eko lo jewa logun. Akinwunmi Ambode (born June 14, 1963) is an accountant, an administrator and a public finance management expert. Copyright © 2014 - 2016 Akinwunmi Ambode. All rights reserved.